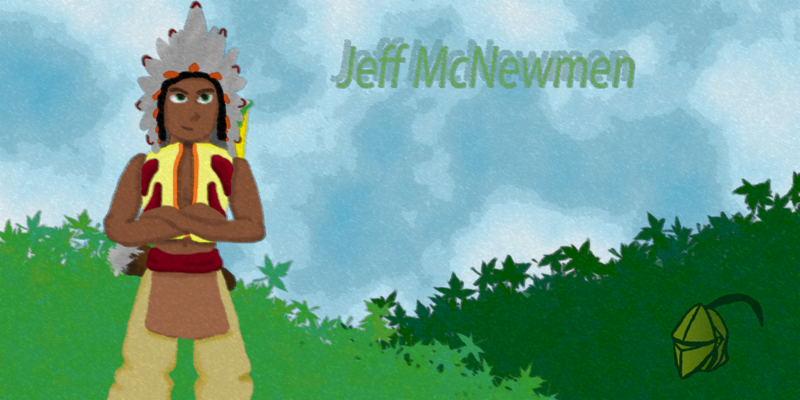 Most of you know me as Jared; however, I also go by the name of Jeff McNewmen. I have been playing Total Miner since October of 2011 and enjoyed every day of it. I am not much of a builder; however, I do enjoy making mazes and quizzes for the community to play. Through hard work and dedication, I was able to become a Total Miner tester for a few months before having to leave the team to make time for an education. On the 360 I built mainly Challenge maps because to me that was simple and fun. Seeing the community rage and have fun was a bonus. The PC version will be a change a pace where I plan to start building new types of maps (not DeathMine maps). I am currently 20 years old and live in the United States. I love reading, writing, word searches, and building for my self-amusement. I work two part-time jobs and go to college full time to pursue my dream to become a teacher. I love the band Coldplay (if you already couldn't tell) and enjoy making people laugh. Feel free to ask me questions about the game, and I'll try my best to provide an answer as soon as I can. Woah! What is this song? Just noticed Two of my maps are one your fav list Thanks, much appreciated! Best wishes on your career path and that it goes smooth for you. Hello everyone! I finally got on to the forums and I'm looking forward to the exelent adventures that we'll have! Hey Jeff, me and you both have similar goals. You want to be a game developer and I AM a robotic engineer, even thought I've only been doing it for 2 years, I still have some goals to reach, and I hope you reach yours! See ya in Total Miner! Thanks for accepting the buddy request! Wow. In some ways I am similar. I am only 12 and almost done with 6th grade. I also want to do game development, but I use an amazing engine called Unity. It's easy to learn, and allows for punlushing for many platforms including Steam, Xbox 1/360. Ps3/4, IOS, Andriod, and a couple others. Good luck on your road to becoming a game dev! Congrats pops, have fun. Take a breath every now and then.